Experience the benefits of gentle yoga. 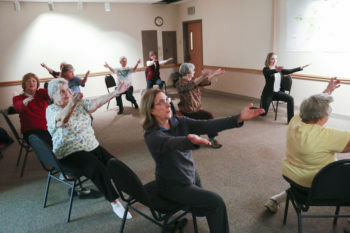 This class is designed to provide increased flexibility & balance while improving strength for aging adults. Many of these classes are done from the comfort of your chair. If you have always wanted to try yoga but weren’t sure if your body could handle it, this is the series for you.